McCarthy’s Storage World provides the ideal archive and document storage solution. Whether you are complying with Government regulations, or want to free-up expensive office space, McCarthy’s Storage World has the answer. Security – All rooms are exclusive to each individual customer. Clarity – No hidden costs allow you to add our document storage service to your budget. Storage Support – McCarthy’s Storage World also provide help and support with regards space calculation for your specific needs – we will even install shelving racks if required. Flexibility – You have complete control to manage your files as you wish and you can alter the space you need at any time. With our long opening hours and no retrieval costs you can access your documents as you please. 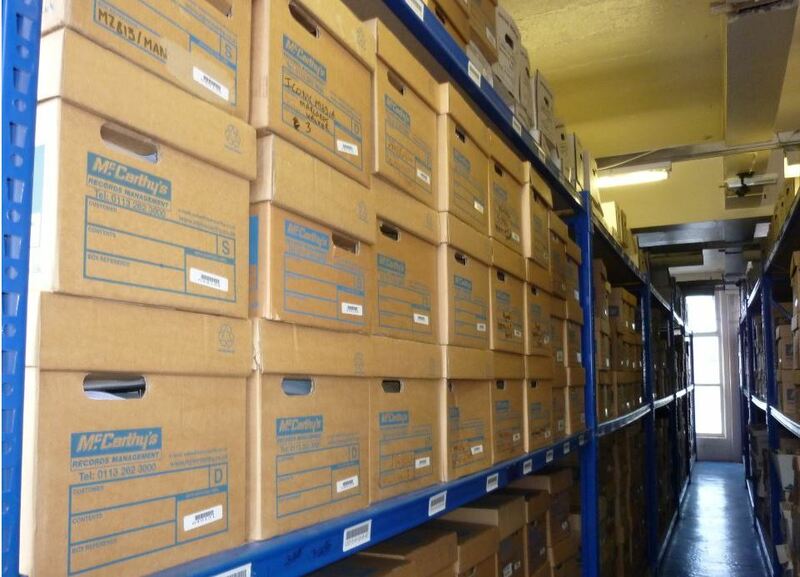 Replicate your own filing system within one of our secure self storage rooms. Maintain the confidentiality of sensitive files and documents. Secure Shredding – When your archives have reached the end of their life times and you no longer need to keep them for legal reasons we can provide a secure shredding service with certificates of destruction to comply with all your british standards regulations. We provide the secure clean space (and racking if required) and leave you to manage your system without any unnecessary interfering or retrieval cost. Contact us NOW for a solution to all your self storage problems!